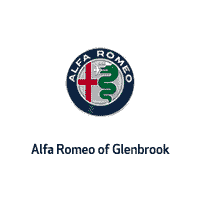 Thank you for visiting the Alfa Romeo of Glenbrook website! We appreciate that you’ve considered us for your next vehicle purchase. Our luxury car dealership in Fort Wayne, IN is dedicated to providing you with exceptional customer service that parallels the premium quality of our new and pre-owned Alfa Romeo cars. Our experienced and dedicated staff will guide you through every aspect of the shopping process, including new car financing. At Alfa Romeo of Glenbrook, we sell vehicles that offer the best of performance and luxury. From the 2019 Alfa Romeo Stelvio and other new Alfa Romeo models to our inventory of pre-owned luxury cars, we are here to help you find the right one for your needs and budget. If you would rather discuss your options with our sales staff, you are always welcome to stop by our convenient location at 100 Coliseum Blvd in Fort Wayne, IN. If your current vehicle needs repairs or maintenance, our Alfa Romeo service department is home to factory certified technicians, so you can trust that your car is in the best hands when you bring it to our facility. Whether you’re getting a simple oil change or more complex work, we strongly encourage you to take advantage of the experienced mechanics and competitive prices that we offer at our Alfa Romeo dealership near Indianapolis, IN. From sales to service, Alfa Romeo of Glenbrook is committed to provide you with a premium experience in all areas. We look forward to serving you!